support both the breeders and the 4-H / FFA youth of Texas who raise & show Certified Texas Bred pigs. How does participation benefit you? and the Houston Livestock Show. • $46,000+ was awarded during the 2017-2018 show season to Texas 4-H and FFA students. • $65,000 has been awarded to Texas students since 2011 through the CTBR program. • In 2018, five scholarships were awarded at $2,500 each. ✓ Participate in TEXAS’ ELITE SHOWCASE! 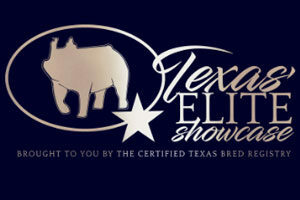 • Texas’ Elite Showcase is new for 2019, replacing the CTBR gilt show at San Angelo. It will be the premier junior gilt show and sale in the state and is only open to youth exhibiting pigs registered in the Certified Texas Bred Registry program. • This event will feature the state’s best genetics, showcasing outstanding youth and elite CTBR gilts! ✓ Buy your showpigs from a CTBR breeder! ✓ Exhibit your CTBR pig at a Texas Major Show or the State Fair of Texas! ✓ Become a TPPA member for additional benefits! On behalf of the Texas Pork Producers Association membership and Texas 4-H and FFA exhibitors, we want to say THANK YOU to our Certified Texas Bred Registry Sponsor. The Official Title Sponsor of the Certified Texas Bred Registry is ADM Moorman’s ShowTec. 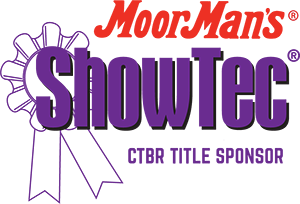 TPPA is very appreciative for ADM MoorMan’s ShowTec for their continued sponsorship of the Grand Champion Barrow trophy, in addition to becoming our new Overall Title Sponsor. ADM MoorMan’s ShowTec- Winning performance is a priority and a tradition for ADM Alliance Nutrition®. That’s why exhibitors and breeders choose MoorMan’s® ShowTec® show feed products. Proven performance from Innovative Nutrition® is evident in the many local and national Grand and Reserve Grand Champion animals that were fed MoorMan’s ShowTec products. We are looking forward to building this partnership with ADM Moorman’s ShowTec.